Corneal Refractive Therapy (CRT) - Charles Bittel III OD, Inc.
Corneal refractive therapy is a non-surgical process which gently reshapes the cornea while you sleep using specialized CRT lenses. The lenses are removed upon awakening allowing you to go throughout the day without having to use corrective lenses such as glasses or contact lenses. Cutting-edge technology involving: computerized corneal mapping, computerized manufacturing and oxygen permeable contact lens materials, enable the production of a unique contact lens to earn the FDA’s approval as a nighttime corneal refractive therapy solution. Corenal refractive therapy is for people who are nearsighted and is especially appealing to people who engage in sports, who have issues with long term daytime contact use, and who are not eligible for LASIK. Nearsightedness is caused by light coming through the cornea in a way that does not allow it to focus properly on the retina. Generally this refocusing of light is fixed by the use of eyeglasses or contacts. Another way to solve this issue is to reshape the cornea in a way that the cornea is flattened. LASIK offers a surgical solution and corneal refractive therapy lenses flatten the cornea without lenses resulting in sharper, clearer vision. One of the benefits of corneal refractive therapy is the elimination of glasses or daytime contacts. Good vision can be achieved as early as the first day but can take up to 14 days to see full results. You can participate in sports or enjoy a day without the irritation of contacts. Corneal refractive therapy is temporary and only lasts a day. 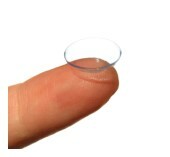 After each use, the lenses should be chemically disinfected. Also, the process is completely reversible after discontinued use. If you are interested in corneal refractive therapy lenses and you live in or around Yorba Linda, one of our eye doctors will perform a comprehensive eye exam to discuss the options available to you. Feel free to contact our offices to call and schedule an appointment for a consultation today to discuss how to best improve your vision.